Home / Stock Picks / Hot Stocks / Can Nike Stock Save Christmas? Can Nike Stock Save Christmas? Nike (NYSE:NKE) stock is due to report earnings after the bell on Dec. 20, and the result could save Christmas. Technicians are all lined up against it like Scrooges before a Christmas goose, with talks of a “death cross” and a “bear market” in the stock. That’s because Nike stock has fallen with the rest of the market. The shares are down 19% in just three months, while the average S&P 500 stock has fallen by 14%. Expectations for the quarter are also muted, with earnings of just 45 cents per share expected on revenue of $9.16 billion. That would represent growth of just 6% from a year ago. But if Nike beats the number — and it has beaten estimates substantially all through 2018 — could that be the catalyst for a Christmas stock market rally? Back when my kids were small, I always bought Nikes at a discount outlet, and that’s where Nike stock is as trade opens Dec. 20 — at a discount. At its opening price of about $69 per share, you’re paying just 22 times the expected fiscal 2019 earnings, and there’s a 22-cent-per-share dividend to keep you warm. Until the market began falling in late September, Nike stock had more than doubled over the previous five years, and the dividend was up 37% in just two years. The stock is selling for 20% less than its most common price target. Nike has long been considered the class of the clothing group. It gets high-fashion prices for what are basically sneakers, and it has dominated nearly every athletic apparel niche it has moved into. Adidas (OTCMKTS:ADDYY) seemed to be giving it a run for its money but has lately been fading. Under Armour (NYSE:UAA), which had once been considered a challenger, has fallen down completely. But the technicians say Nike stock is setting up just like Costco Wholesale (NASDAQ:COST) did before its most recent earnings announcement. COST stock tanked after that report. With every other retailer falling in price, why shouldn’t Nike? A shortfall, or even weak guidance, could convince the market that a recession is indeed headed our way, and take down the rest of the market. If Nike can’t do it, the wags will say, no one can. No one is arguing that Nike isn’t well run. Its “triple double” strategy of using technology to move product onto shelves more quickly is getting results, as our James Brumley notes. It has focused its sales strategy on the its 40 largest outlets, demanding they perform with training and floor space. It seems to be working. Nike is also opening up new market niches, like videogamers, that other companies are missing. The problem is that everyone sees big problems ahead for retail, and for once it’s not named Amazon.Com (NASDAQ:AMZN). Consumer sentiment seems to be deteriorating, starting in Europe, and many retailers are abandoning their storefronts. This is just what happened to Under Armour. It lost its distribution channel when Sports Authority went under and hasn’t been able to recover. In a bear market, analysts and investors look for excuses to sell. If the sales are good, maybe profits are disappointing. If it’s all good, maybe the guidance is weak. When the market wants to sell, it sells. 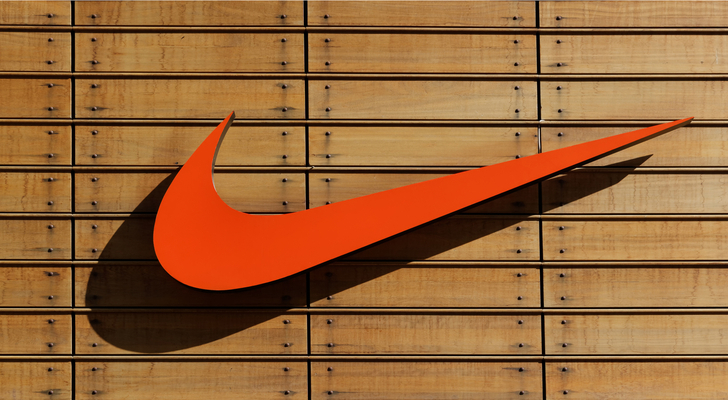 Nike could blow past earnings and the stock may still fall on December 21. All it would take would be for Nike management to express the same worries the market is expressing about the future, to guide conservatively on Christmas sales or on 2019 generally. It’s not fair, but in cases like this it’s often best to wait until after earnings to pounce on a bargain stock. Article printed from InvestorPlace Media, https://investorplace.com/2018/12/nike-nke-stock-can-nike-save-christmas/.